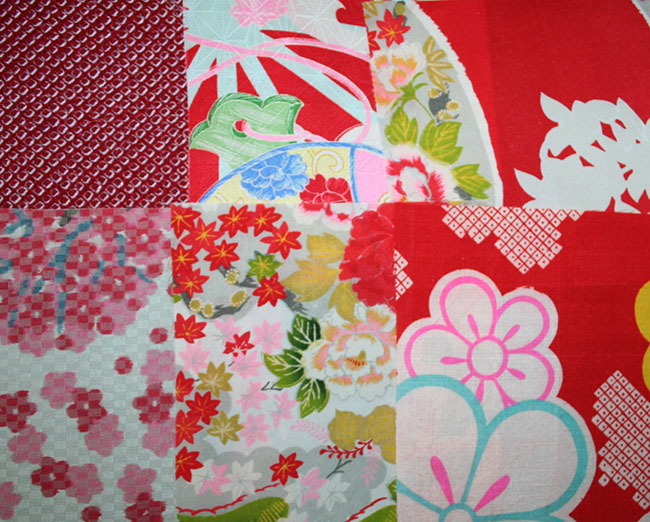 Kimoyes item: 22890 - 6 pieces of colour co-ordinated kimono silks. 6 pieces of colour co-ordinated kimono silks. Each piece measures 6 x 6 inches.